When we encourage employees to be their authentic selves at work, and leverage their differences in order to build a more inclusive and effective organization, we also have to be prepared to support them. 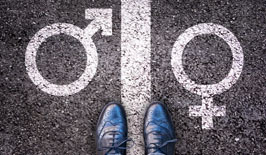 Organizations often do want to include and support employees as they transition to a different gender, which is the good news – but need guidance on how to do it well. As one observer put it recently, there are “lots of well-meaning people, but they haven’t had the opportunity to learn how to best support” transgender employees. We recommend HR be involved as early in the process as possible and to function as a key leader in the development and execution of the employee’s gender transition plan. 1. Identify the Transition Team. The key team members could include a Human Resources Business Partner and an Executive Level Sponsor. The person’s manager may also participate, as well as leaders in the organization’s LGBTQ Business Resource Group if applicable. Other team members may include representatives of the Employee Assistance Program (EAP) and, if the workplace is in a higher education setting, campus LGBTQ Center. 2. Include the date of the transition. The employee determines this date and shares it with the team. 4. Create a plan to address inappropriate actions/comments that may occur, including proactively offering training to educate fellow employees if challenges are anticipated. A Transgender 101 educational workshop can offer support for the employee’s work team. Training for the entire workplace on the transgender experience can also be helpful to set a clear message to everyone. 5. A checklist of required changes to records and systems, and a process to make those changes. Stakeholders such as the Information Technology team will require an early entry into the process to prepare to change the employee’s name, IDs, documents, health insurance on the transition date. 6. Assess, update and implement any current policies and benefits that will protect a transitioning employee, including non-discrimination, non-retaliation, health benefits, right to privacy, leave & time off, and communicate these with the employee. 7. Review expectations around privacy in areas such as workplace restrooms, locker rooms, and changing rooms, and make any needed changes. 8. Plan for time off for the employee if needed. Each transitioning individual has their own unique set of needs. While it can be terrifying to be so vulnerable and to “come out” as transgender at work, HR can be a powerful contributor to ending discrimination, retaliation and bullying at work. There is not one correct formula for managing gender transitions in the workplace. As more HR professionals are supporting transgender employees they may need support and information themselves. The Human Rights Campaign and Out & Equal have helpful websites and are a good place to start. Zalika Winitzer is a Senior Consultant at IBIS driving diversity and inclusion projects and solutions for organizations and universities. Her extensive expertise in organizational analysis, project management, and group facilitation married with her passion for exploring the multitude of dimensions of diversity create successful project outcomes.